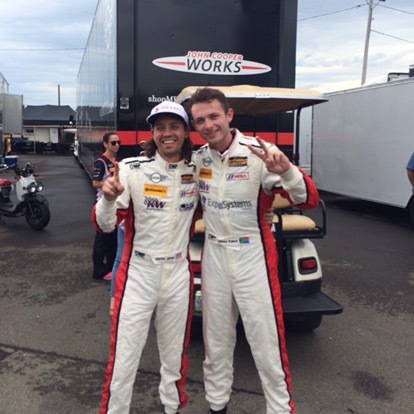 Derek Jones and James Vance celebrating their front row qualifying effort. MINIs sweep the front row! 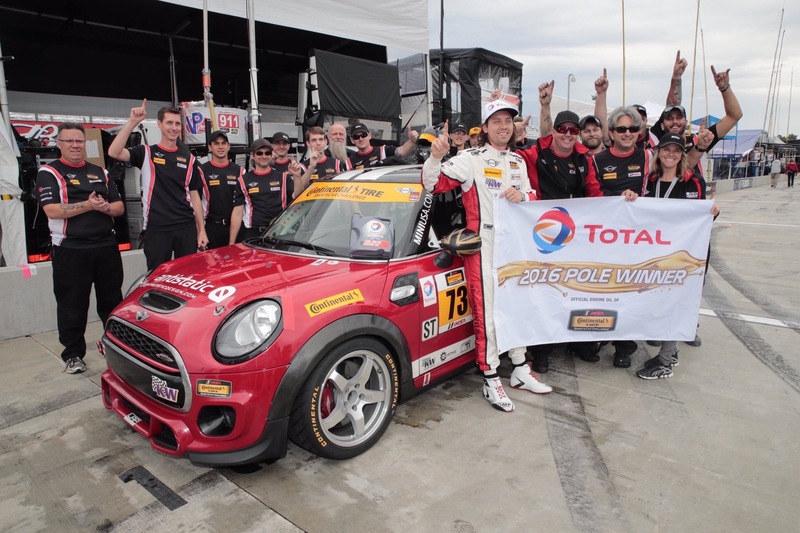 On a wet track at Watkins Glen International the handling of the MINI JCWs shined through. It was an exciting qualifying session and the pole position swapped hands many times throughout. It came down to the last lap when at first the #52 being driven by James Vance grabbed the top spot. And then with no time left on the clock Derek Jones in JCW #73 completed his final lap, just overtaking Vance. The #37 unfortunately never got off pit road, experiencing an issue with the radiator. These results set up a great race tomorrow in Continental Tire 150 at the Glen. The race starts at 12:25 pm EST and can be watched live on IMSA.tv.